If you know a small child who is crazy-keen to know the name of every kind of dinosaur and memorise their unique features, you’ll be interested to know that there are a whole bunch of reasons this might be happening. Firstly, it may be partly down to a naturally occurring psychological phenomenon known as ‘extremely intense interests’. 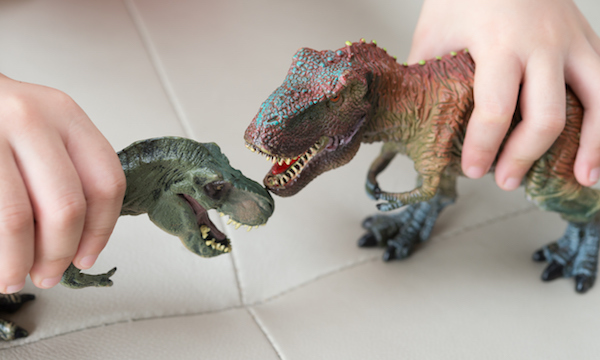 Extremely intense interests (or EII’s) are frequently seen in preschool-aged children and obsessions can range from dinosaurs to vehicles to The Wizard of Oz. Researchers say that around a third of the kids they studied had these EII’s, and that they start to emerge at around 18 months of age. Having such keen interests can help kids become more observant, increase their attention span and promote efficient information processing skills. So knowing every single dinosaur by name and which era they come from is setting your child in good stead as a brilliant little learner. Experts say these interests tend to promote ‘fact collecting’ behaviour and it’s thought that the transition from home to spending more time at school – and adhering to set curriculum – may interrupt or slow down kids’ natural fact-collecting enthusiasm. On average, though, interests lasted from six months to three years, and you definitely should encourage them to help them stick around. What better way to come to terms with something scary than to find out everything you can about them in the brilliant knowledge that they no longer walk the earth?! It’s a reassuring sort of mastery and perhaps it helps kids learn to deal with other scary things/people/creatures too? “Dinosaurs put our place in the world into perspective,” palaeontologist Matt Bonnan says on his blog and golly gosh he’s blinking spot on. These incredible and fascinating creatures teach children more about how species come to be – and disappear – and how they adapt and survive in the interim. An interest in dinosaurs also helps kids get their head around the earth’s timeline and appreciate that amazing, interesting things existed long before they did. It’s a sort of magic, really. Some suggest that dinosaurs – and garbage trucks – might trigger a biological bias in little humans, something that stems back to our days as hunters and gatherers. They think we might be primed to be interested in these “big game” creatures because they might be FOOD or they might EAT US! It pays to pay attention, whichever it is. While, for some kids, a dinosaur obsession might show a deep and pure love of dinosaurs, other children are Dino-freaks because they have a love of learning. The notion that there’s a wealth of information to discover is very, very exciting and they need to know more – and categorise/memorise – at all costs! If we’re talking dinosaurs, the learning opportunities seem pretty endless. There are lots of different kinds of dinosaurs; they have complex names, varied habits and habitats, interesting timelines and all kinds of different features. US mum Susan Alloway told The Cut her six-year-old daughter simply could not get enough of all the dinosaur details. In the 1960’s Polish psychologist Kazimierz Dabrowski suggested that there are five areas in which kids show intense “over-excitabilities” or “super-sensitivities.” They are psychomotor, sensual, emotional, intellectual, and imaginational – and you can read more about those here. And is it a gender thing? The jury is still out. 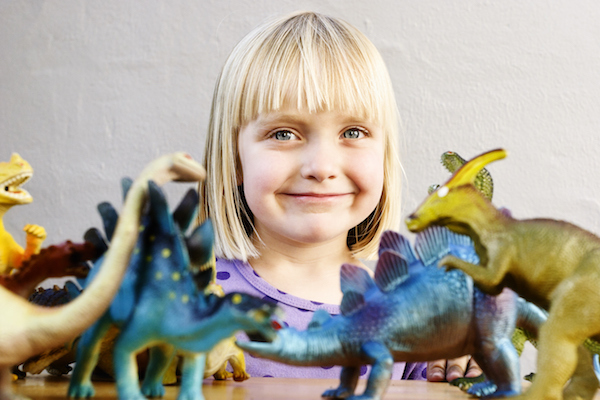 Lots of girls are brilliantly dinosaur obsessed, but research says that boys were observed to be more dinosaur-focused than girls. Some suggest that this may be down to marketing, with different genders being encouraged to play with different sorts of toys and things from an early age. 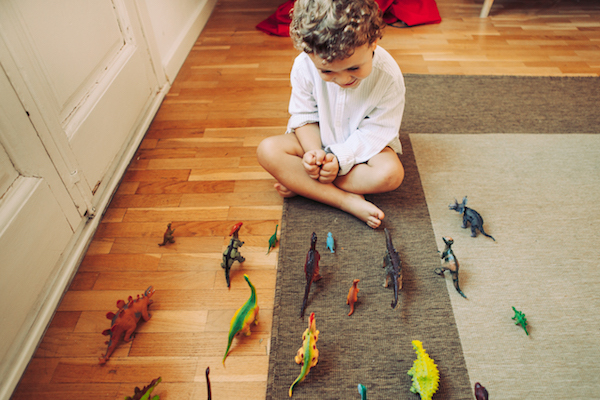 Others think boys seem to be more dino-centric because of biological and hormonal factors – and not gender conditioning. So yeah, we’re not sure on the gender balance here yet. Perhaps you understand your own dinosaur lover a little better now? Be sure to encourage their enthusiasm in every way you can because the research tells us that these passions can drop off if we don’t make time for them and nurture them.